A Limited Liability Company, or an LLC, is a very popular form of business organizations. 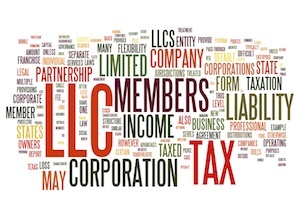 An LLC is a business structure in which owners (members) have a limited personal liability for the actions and debts of the company, meaning their liability is limited to their financial investment. There are also tax benefits of forming a LLC. Limited Liability Company member disputes can become elevated and, emotional, and can damage a company’s reputation and profits. To protect your interests and financial rights, you should hire a business attorney that has experience with complex shareholder disputes and partnership disputes. For more than 80 years combined, KALIS, KLEIMAN & WOLFE’s attorneys have handled some of the biggest litigation matters in South Florida. We pride ourselves on not just being lawyers, but being lawyers and counselors. Our goal is to do what is right for our client from both a legal perspective and a business perspective; including litigation when necessary to resolve a dispute.